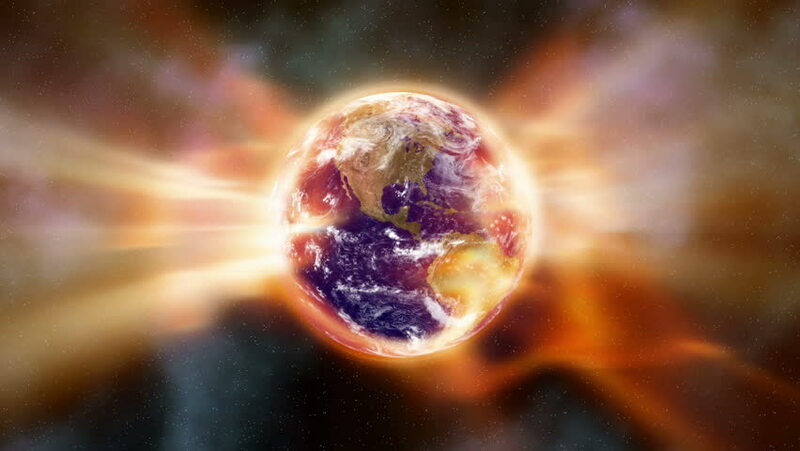 HD - Global warming aura of heat radiation envelopes the Earth in space (Loop). hd00:15Orbiting globe in pink empty space. Seamless loop. hd00:15Earth rotation from space. Abstract cg animation.